Hi, friends! I'm excited to be participating in the Altenew Year in Review Blog Hop & Giveaway this year! 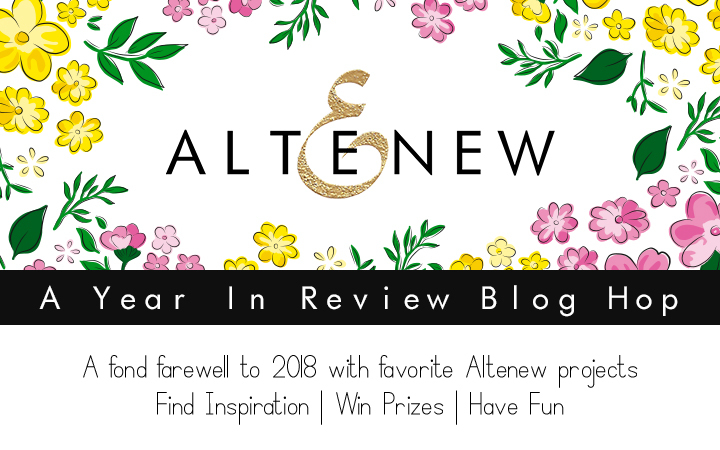 Lots of crafters are taking part in this sharing their favorite projects from this year using Altenew products. Be prepared to see LOTS of beautiful inspiration, and be sure to leave comments so you could be eligible to win some prizes! Here are some of my favorite projects made this year using Altenew products. 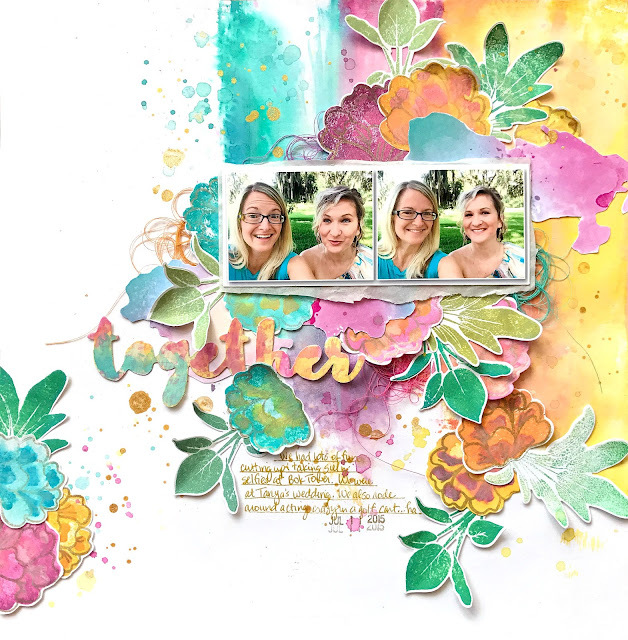 I created this one as a Guest Designer a few months ago using the Our Family Scrapbook Kit. I also used the Classy Stripes Stencil and the Northern Lights 6 Mini Cube Inks. I love how this tropical layout turned out. I used the Playful Blooms Stamps & Dies and the Potted Plants Stamps & Dies for this page. This was for another Guest Designer spot using the Our Family Scrapbook Kit again. I also used the Classy Stripes Stencil, the Northern Lights 6 Mini Cube Inks, the Painted Rose Stamp Set & the Painted Rose Die Set. For this one, I used the Reflections Scrapbook Kit. Altenew is clearing out products from our warehouse so they can make some space to welcome new exciting products in the new year. Save up to 50% off on the Warehouse Sale collection of more than 250 items including stamps, dies, inks, ink sprays, bundles, embellishments, and more. 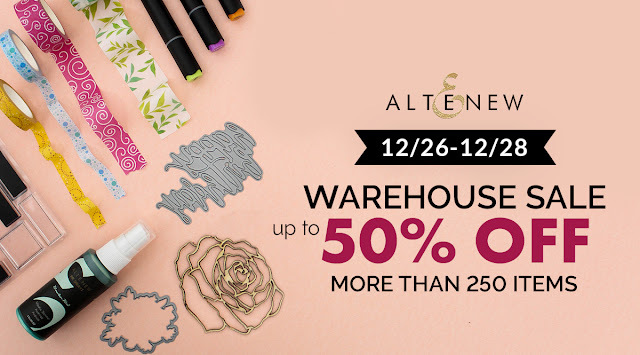 Shop here --> https://altenew.com/collections/warehousesale Valid now through 12/28/2018 at 11:59 pm EST. I hope you are inspired by all of the designers' work...thank for stopping by here!